Menopause can increase risk of developing sleep apnea, a potentially serious sleep disorder which can have negative effects on your health, says a city doctor. 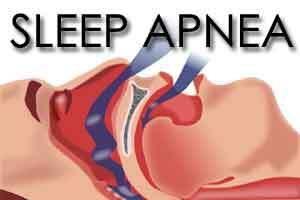 Sleep apnea begins with partial blockage of the upper airway and leads to pauses in breathing while asleep. As the condition aggravates, it takes the form of obstructive sleep apnea (OSA) in which the pauses in breathing become quite frequent, even amounting to 100 times in a single night. According to a recent study, 0.6 percent of women in their pre-menopausal stage suffered from OSA, while the incidence of the same in post-menopausal women (who did not undergo the hormone replacement surgery) was as high as 5.5 percent. “As many as 61 percent post-menopausal women reported symptoms of insomnia,” Nangia added. Symptoms of OSA in menopausal women include hot flushes, increased body temperatures and night sweats because of reduced levels of estrogen, loud snoring, choking in sleep, dry mouth at night, frequent urination at night and grinding of teeth. “It is important to educate everyone about the symptoms of OSA as it can go unnoticed and cause major medical complications later,” Nangia noted. Various forms of treatment that is available for women with OSA include losing weight, avoiding alcohol four-six hours before going to bed. Also, sleeping on sides rather than on stomach or back can help in improving the situation. “The most common medical treatment includes the use of nasal continuous positive airway pressure (CPAP) — a device to prevent the airways from collapsing at night and hormone replacement therapy (HRT) — wherein estrogen and progesterone are artificially introduced into the body to help reduce OSA,” Nangia said.